3. 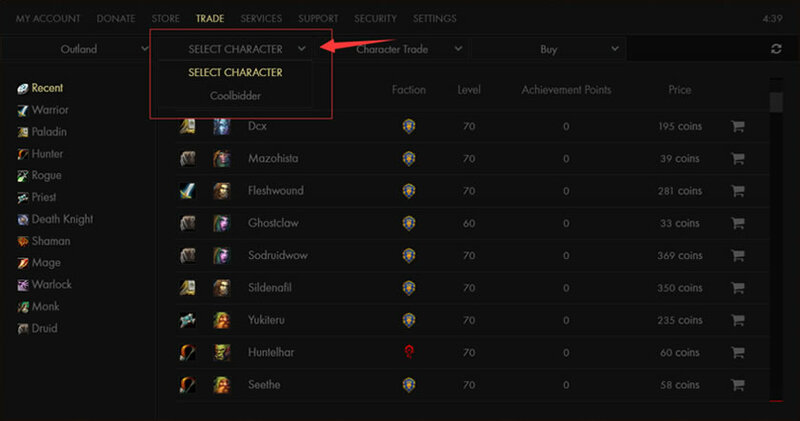 Now you need to select character which you want to sell. 5. 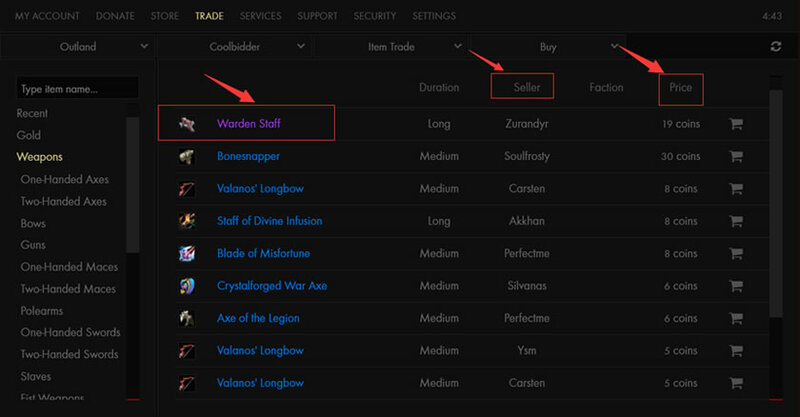 Click "Sell", then you can place items and fill in the amount of coins you buy in Gm2v.com. 6. The last step is to fill up your order form with character name, auction item name, and buy price. When your order's completed, we will send you a confirm email to your paypal email address. please check and confirm with the coins you have received. 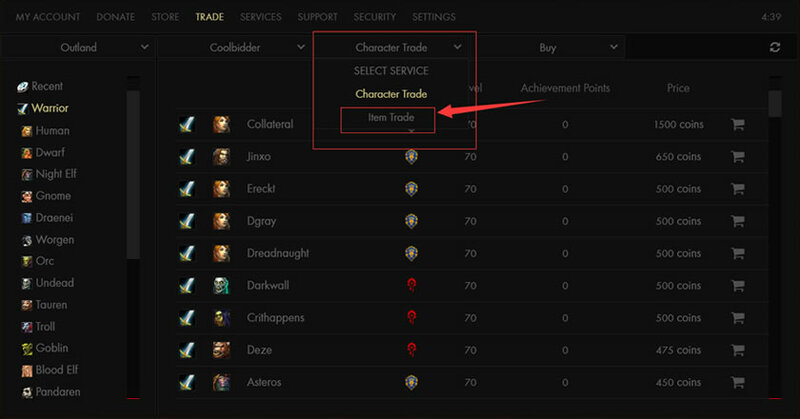 Reminder: the coins we provide in game are exclude the tax.